First you need to define the context menu with menu items. 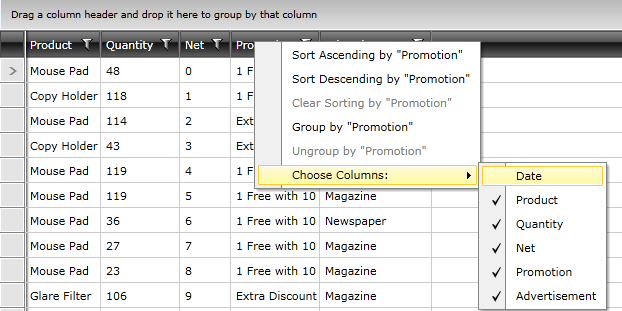 You need to attach the defined context menu to the column headers. A sample project can be downloaded here. You can also check Header Context Menu and Row Context Menu WPF Demos.